Product #18646 | SKU RODGRIP | 0.0 (no ratings yet) Thanks for your rating! 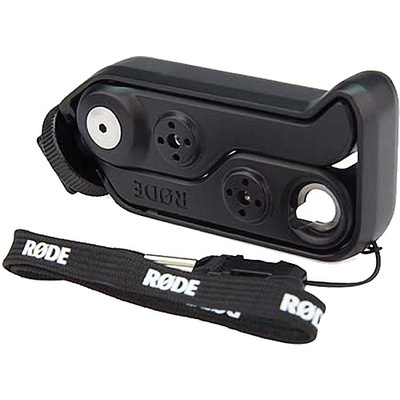 The RØDEGrip Multi-Purpose Mount for iPhone 4 & 4S by RØDE Microphones allows you to mount an iPhone 4 or 4S. It has a camera-shoe mount with a 3/8" thread in its base that can be mounted in three different positions. Additional features include ABS plastic construction and a foldable design for easy portability.